Debt Management Plans: Are They Right For You? Have you considered using a Debt Management Plans (DMP) to manage your debt? If you are experiencing severe debt, you might be looking to bankruptcy as a means of resolving your financial concerns. However, this option should be reserved as a last resort. There are several potential routes out of debt, including Individual Voluntary Arrangements (IVAs), Debt Relief Orders (DROs) and Debt Management Plans (DMPs). This introduction to Debt Management Plans outlines some of the key advantages and disadvantages of this kind of arrangement. A DMP is an informal, non-legally binding agreement between you and your creditors, often set up with the assistance of a qualified debt advisor, secured through a licensed debt management company. A DMP is designed to help individuals repay their outstanding debts in single monthly instalments. A DMP is most suitable if you have non-priority debts, such as store or credit cards, personal loans and overdrafts. Your DMP provider, who will usually require a fee for their services, will collaborate with you in order to determine an affordable payment schedule. He or she will then begin discussions with your creditors, which means that your interactions with them will be reduced or, ideally, eliminated altogether. The monthly payment is given to your DMP provider, who will then divide the sum up between your creditors. Unlike an IVA, the idea with a DMP is to completely repay all existing debt. A DMP is generally suitable if the amount owed is in excess of £7,000. The average DMP takes just over five years to repay, and the average individual repays approximately £18,500. Smaller debts should take less time to repay, depending on each individual’s circumstances. There are many advantages to choosing a DMP. One of the biggest is the fact that existing debts are usually frozen, so your current debt can be repaid in a more timely manner. There is a high degree of flexibility involved, so no individual engaged in a DMP is legally required to release equitable interests to creditors. This flexible, informal nature also means that if you were to choose a DMP, you would not be tied into a minimum period. You can cancel at any point. If you are unemployed, you will have a higher chance of engaging in a successful DMP than an IVA. This is due to the fact that the flexibility of the DMP extends to your creditors, too; if you fail to make your repayments, they can withdraw. As long as your creditors are happy regarding your capacity to repay each monthly repayment, they will likely agree to a DMP. The flexibility of the DMP is a double-edged sword. As it is not legally-binding, your creditors, as mentioned above, can withdraw at any point. They can also choose to change the terms of the agreement, or take legal action against you. If this is the case, then you might be faced with the prospect of bankruptcy. When compared to an IVA, a DMP has the disadvantage that you will have to repay every penny of your debt. With this in mind, if your debt is excessive, a DMP might not be right for you, as the time required to repay your debts might be far too long. 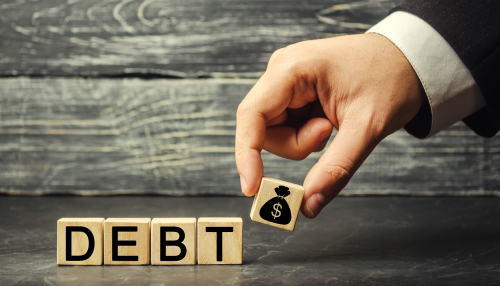 What debts can and cannot be included in a Debt Management Plan? DMPs can only be used to pay off non-priority debts. As mentioned above, these debts include store or credit cards, personal loans or overdraft debts. Priority debts cannot be repaid. These debts include National Insurance, mortgage, rent, loans secured against your home, Income Tax payments and maintenance bills. For further clarification, consult your DMP provider. It can be difficult to calculate whether or not you can afford to repay your loans. We’ve built a simple loan repayment calculator to help determine how much you should be repaying each month. If you cannot afford to repay your loans, then a debt management plan might be your best option. Our calculator is not designed to replace the advice of a qualified financial advisor. What advantages does debt management software offer? Debt management professionals utilise intuitive debt management software or insolvency software for many reasons. It allows them to manage more clients, record important details and construct detailed reports. Software such as LogiDebt is specifically designed to centrally store and track client debts, expenditure, income, assets and dependents. It also cross-references this data with appropriate lenders. It allows them to properly and efficiently advise clients using Best Advice Model (BAM). Logican’s debt management software, LogiDebt, offers a number of personalised facets and features that make it a wise and efficient choice for anyone looking for gold-standard insolvency software and debt management software. Contact our team to learn more.